Missio Dei is a Contemporary Baptist Church located in Galena IL. Missio Dei is associated with the Southern Baptist Convention, North American Mission Board and Illinois Baptist State Association. The Southern Baptist Convention (SBC) is a fellowship of about 46,500 Baptist Churches and another 4,500 mission churches (churches that have not yet established their autonomy as self-governing congregations) scattered across the Untied States and its Territories. 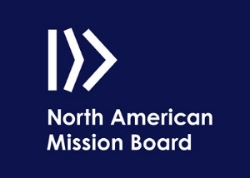 The North American Mission Board (NAMB) helps pastors and churches more effectively engage the mission field of the Untied States, Canada and beyond. Founded in 1907, the Illinois Baptist State Association (IBSA) is an association of messengers from Illinois Southern Baptist churches cooperating to achieve common goals. The purpose of IBSA is to assist in establishing and developing effective churches in their context. Today, nearly 1,000 churches and missions are affiliated with the IBSA.